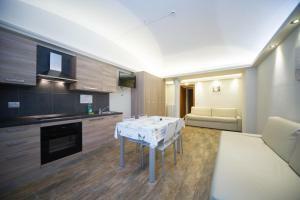 Located in Bardonecchia, 1.7 km from Smith 4, Hotel Europa has rooms with free WiFi access. The accommodation offers ski storage space, as well as a garden and a bar. The property is 1.7 km from Pian del Sole and 1.7 km from Campo Smith Cableway. Guests at the hotel can enjoy a buffet breakfast. At Hotel Europa you will find a restaurant serving Italian cuisine. Guests at the accommodation will be able to enjoy activities in and around Bardonecchia, like skiing. Colomion is 1.9 km from Hotel Europa. The nearest airport is Turin Airport, 101 km from the hotel. When would you like to stay at Hotel Europa ? Each day we'll check prices and send you an email for your selected dates at Hotel Europa. If you don't have specific dates but would like to check prices for say next weekend or say next month we can check the price too. Click to write a review and share your experience of Hotel Europa with other travellers.